Finding a property that suits your needs is not always easy. Whilst the end result can be one of the most rewarding purchases you will ever make, if you are not familiar with the process it can seem a little daunting. This page is aimed at providing an overview of how to help simplify the process and also covers some specifics as they apply when buying property in NSW. Please note that not all our properties listed for sale are advertised or displayed on our internet site. Some prime properties are discreetly listed and only able to be presented to suitably qualified buyers whilst others never make it to the internet because they are sold immediately to buyers who are already registered with us. Subscribe to our email newsletter – GoodMail to find out about the latest properties. After working with hundreds of satisfied buyers over the years we have adopted the following method as being the most effective in enabling us to assist you. On contacting our office we schedule an initial meeting to gain a clear understanding of your needs and situation. This is done most effectively face to face in our office. If this is not possible then we would communicate by phone. Communication via emails is not as interactive or effective so we request, if you would like us to work with you, that you include a contact telephone number with any email. 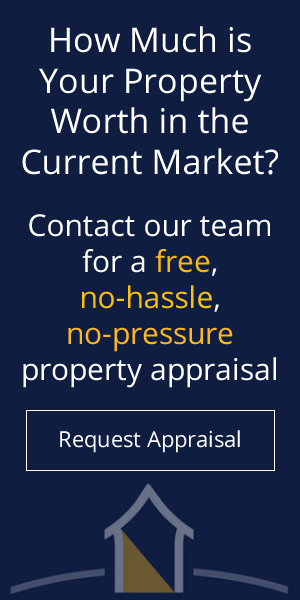 Once we have a clear understanding of your needs, if there is not something immediately available amongst properties we have for sale, then we will endeavour to advise you should something become available that might suit. If you are ready to buy immediately and there is nothing suitable we will try to source a suitable property for you using our knowledge of the local area. We work by appointment, so if you wish to view a particular property please contact us in time to enable us to go through the necessary steps and to organise an inspection time. In the interests of efficiency and courtesy to all concerned, we have an agreement with our clients to only show buyers through if they are appropriately qualified. Buyers who regularly purchase property usually finish up working with one preferred agent. This is because working with an agent that they trust and feel understands them as a buyer makes the whole process much easier. Working with an agent you don’t trust can make it all too difficult. If you are not a seasoned buyer then I offer these criteria for selecting a suitable agent to work with. Choose an agent who has plenty of listings available and will help find a suitable property if there is not something available. Make sure you feel comfortable with the agent. You should sense a good level of business acumen, communication and honesty in your dealings with the agent. If you can’t get this then try somewhere else. Remember, you’re going to have to rely on this person. You may need help or advice on various issues and you are going to want to feel confident about the quality of information you receive. If you are looking for someone to help you get a “bargain” or a “steal”, a good trustworthy agent isn’t going to be able to help you. The seller is actually their client (the one paying the agent his fees for the result) and any agent who is prepared to sell out his client is obviously not reliable for honest advice. Where a good agent can help is in finding the “right” property for your needs in an open and honest environment. Given the large sum of money involved in buying a residential property, it is wise to protect this investment by carrying out the necessary investigations (unless these reports are already available). The main checks include a building inspection, pest report and sometimes a survey report. Satisfactory reports should be obtained before you exchange contracts. Good professional inspections should reveal a number of issues, as established residential property is seldom in “perfect” condition. The owners are selling the property in the state of repair as presented. Reports that reveal lists of minor faults are not grounds to renegotiate the sale price. Sometimes a building report will reveal a major fault that would dissuade a buyer from continuing with the purchase. Discovery of a major fault (eg a major structural problem) will usually also be a surprise to the seller, and often something they will have to remedy even if the sale does not proceed. In these cases, if the buyer still wishes to buy, then the owner may renegotiate to allow the cost of repairs or else agree, as a condition of the contract, to make the necessary repairs prior to settlement. If purchasing property in NSW it is not “legally” secured until such time as you have exchanged an unconditional “contract for sale” and paid the 10% deposit. The first step in the process is usually the payment of an initial deposit and the preparation of “contracts for sale” as per the agent’s “sales advice”. An initial deposit can be any amount up to the full 10% deposit but is often in the vicinity of $2,000. The deposit is held in the agents trust account on your behalf and prior to your exchanging “contracts for sale” it is fully refundable. The payment of the initial deposit does not secure the property legally. It acts as an indication of your intention to proceed with the sale, often termed as a gesture of good faith. The agent will then issue a “sales advice” which details the names you intend to purchase the property in, any special terms or conditions negotiated between you and the seller and a list of items included in the sale. You should select a solicitor or conveyancing firm to handle your legal side of the purchase (preferably one familiar with NSW property law). If the property is residential property under 2.5ha, in some cases, you may be given the alternative of signing a contract and exchanging immediately in the real estate agents office. You will then have a five (working) day cooling off period in which to perform the necessary legal checks, get building and other reports and make sure that your finance is arranged. If you decide not to proceed within the five days cooling of period, you forfeit .25% of the purchase price (ie $250 fot each $100,000 in value). Exchange of contracts occurs when each party (or their legal representative) is given a contract signed by the other party and the balance of 10% deposit is paid. It is the point at which contracts become legally binding on both parties (except if the 5 day cooling off period is effective). Sometimes because of time delays a proposed purchase will never reach exchange of contracts (eg other buyers, a change of seller’s circumstances) so it is wise to ensure that your solicitor is aware of your desire to exchange at the earliest possible time and to minimise any time delays. There are certain important issues you should confirm prior to exchanging contracts. You must be sure that whatever checks you wish to have done are completed (unless the contract has a condition to make it subject to these checks being OK). You must be sure of the where and when of your finances. If you are borrowing, you should have WRITTEN approval of the loan without any outstanding conditions on the approval (such as subject to a satisfactory valuation or submission of satisfactory business trading figures). You should be sure of the names you intend to purchase in (individual, joint or company). These may have various taxation and GST implications so you should check with your accountant. After exchange of contracts it is very difficult to alter the purchaser’s names. This is when you pay the balance of the purchase price and gain ownership of the property. An average time from first deposit to final settlement is usually about 6-8 weeks. Be aware that sometimes for some technical reason the solicitors won’t be able to settle as expected. It is wise to check with you solicitor as settlement day approaches to ensure everything is on track. Immediately prior to settlement you should do a final inspection of the property to ensure that the property is in a reasonable state and nothing has been damaged since you first inspected it. Don’t forget to take out Property Insurance prior to settlement. Legal costs (likely to range from $500 to $1,500 depending on the purchase price and complexity). Stamp Duty (our internet site provides a calculator for this). Any Borrowing Costs – application fees, mortgage, and valuation fees. Rates adjustment for any rates that have been pre-paid by the seller. The cost of obtaining any Building, Pest or Survey Reports.